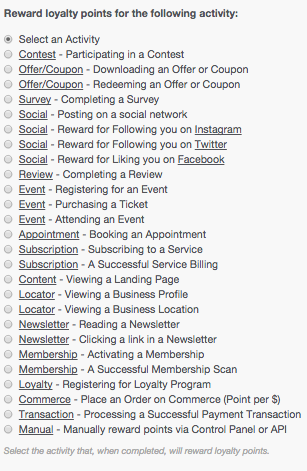 PeopleVine offers the following list of activities your loyalty program members can complete in order to earn points. To create a custom activity, choose "Manual." To edit or update your custom activities, select Reward>"Manage Loyalty Activities."